This week’s Wallpaper Wednesday brings you the brilliantly geometrical Cube Star by Jocelyn Warner. A relatively new range launched earlier this year, the designer has created a very appealing print in a few colourways, this one here mixing blues, greys, corals and pinks with lovely effect. 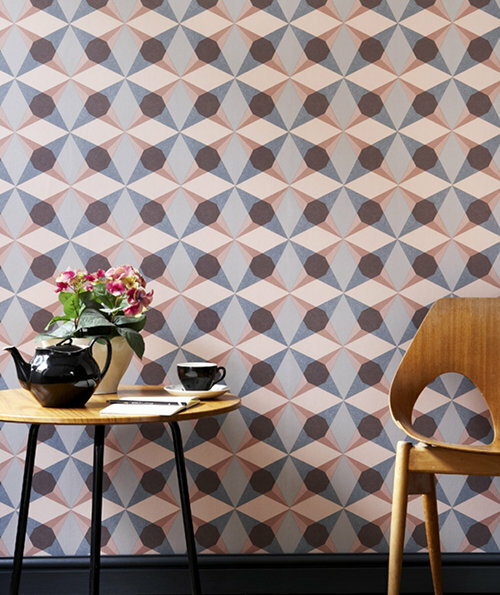 Fabulous for any room in the home, use a feature wall or on many walls I love its versatility, its contemporary feel and of course, I love the geometric pattern. In fact, it reminds me a little of the Love Chic Living logo! If you like your monochrome scheme this one is also available in blacks, greys and whites creating a perfect backdrop for a simple scheme or for injecting and adding extra colour. The Jocelyn Warner design studio, based in East London has been instrumental over the last decade in re-igniting the passion for colour and bold interiors, as well as playing a fundamental role in rekindling our love of wallpaper. With designs like this one, it doesn’t surprise me that they’ve been successful! 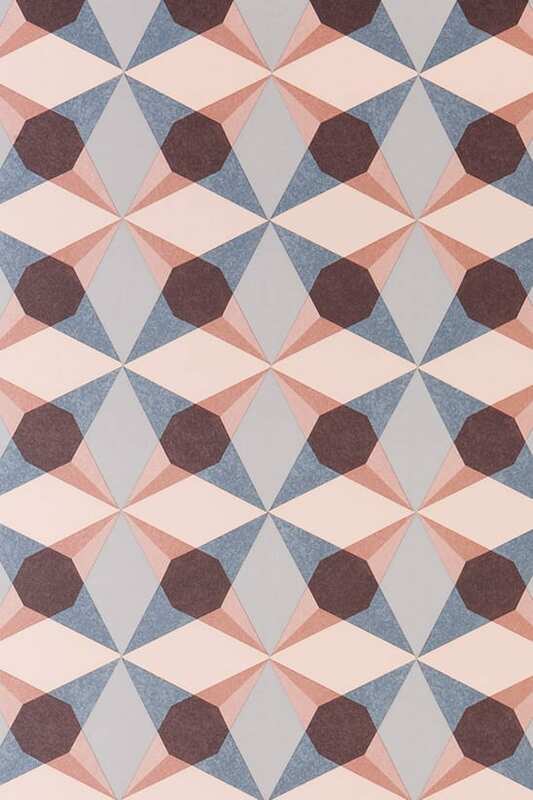 Cube Star by Jocelyn Warner is available at wallpaperdirect as well as other good stockists and retails for £59 per roll. Some lovely geometric patterns there.Love the muted colours too. This is a favourite from me Jen. I think Erica’s right the tones are lovely. Thank you, so glad you like it….. I will keep looking for similar styles!